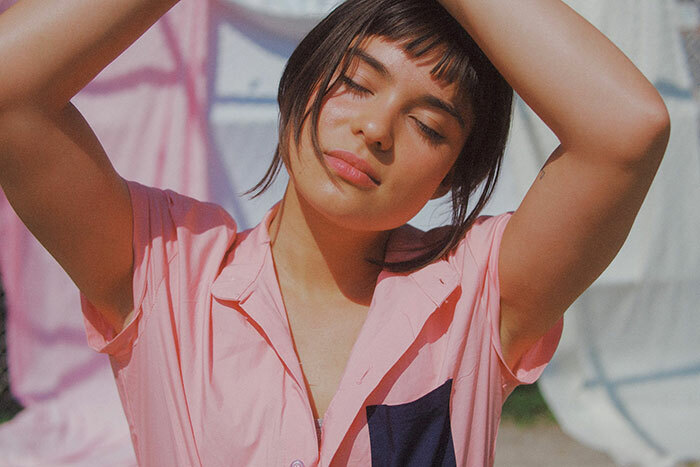 Our interview with actress Devery Jacobs who can be seen starring in the new season of American Gods, set to premiere this March 2019. American Gods is a fantasy drama television series based on Neil Gaiman’s novel of the same name. The show follows a recently released ex-convict named Shadow who meets a mysterious man named “Wednesday” who knows more than he first seems to about Shadow’s life and past. Devery will recur as a college student named Sam Black Crow. She is spiritually cynical for someone who claims to believe in so much. Devery can also be seen in the new Netflix Original The Order about a society filled with sorcery and monsters who are in the middle of an underground battle between the magical dark arts and werewolves. I’m just a kid from the rez; I’m an Indigenous actor, writer and filmmaker who grew up in Kahnawà:ke Mohawk Territory. I’m an avid reader, a self-proclaimed foodie and I work and live between Toronto, Canada and Los Angeles. I am genuinely respectful to everyone I encounter. If I’m shooting, I’ll wake up, head to set and spend my day there. Otherwise, I try to begin each day with lighting some sage, giving thanks and journaling. Then I’ll make breakfast, have coffee and answer emails; I always have a project I’m working on behind the camera. Then I might go to the gym, look over audition sides or either shoot a self-tape, or audition in person. In the evening I make dinner with my partner. I’m always experimenting with new recipes; my fall/winter favorite meal has been apple and sausage stuffed acorn squash. Finally, me and my partner will unwind by curling up in our giant bean bag and watching a movie/TV, or will play video games. I’ve had many supporters between my family, colleagues and my partner, and attribute my success to each of them. I always loved acting, and signed with an agent in Montreal when I was young (my reservation borders the city). I’d booked a few jobs here and there, but it was years later, when I was cast in my first leading role in the feature film, Rhymes for Young Ghouls that I had truly gotten my start in the industry. An embarrassing TV commercial that should never see the light of day! I’ve never trained formally, but I’ve taken classes in the past. My all-time favorite workshop was with Nicole Kidman’s acting coach, Miranda Harcourt, a former drama-therapist from New Zealand who combines those techniques with traditional Māori teachings. Her lessons are about basing the acting work in truthful connection and that has resonated most within me. Best: you can’t predict the future and every day is different. Worst: you can’t predict the future and every day is different. It’s always a challenge. It’s hard to stop working when there’s so much to do, but that personal time needs to be set aside. There will always be work to get done, prioritizing time to recharge is key and something I try to practice in my life. I read my scenes a bunch of times and figure out what’s actually happening. I envision it, and then learn my lines. I need to hear the lines and say them back verbally for them to actually stick in my brain. Then on set, everything I’ve cooked up goes out the window and I try to be in the moment, ready to receive and give to my scene partner. I play Sam Black Crow, a fan-favorite character from the novel by Neil Gaiman. Sam is a half-Cherokee, two-spirited college student. She’s strong, quick-witted, and has an imposing personality which is introduced in season two when she collides with Shadow Moon (Ricky Whittle) during his travels. I was such a fan of the novel, that I had tracked this project before it was even greenlit. One of the very first times sitting down with my agent, I told him that he needed to get me in the room for this character. When the time finally came, I landed the role, but the scheduling conflicted with another project I was shooting and the production wouldn’t let me go. American Gods had to move on to their second choice for this character and I was heartbroken. I wrote a heartfelt letter to American Gods explaining my passion for Sam and how much I identified with her, and it circulated across the production office, and even Neil Gaiman read it himself. They’d all said that I was their Sam Black Crow, and that they would make it work with dates. I’d never fought so hard for a role in my life. This year, I have a bunch of projects coming out; I played the catalyst role of Brittany in Veena Sud’s The Lie (Blumhouse Productions), I played the leading role of Sam in Cardinal (CTV, Hulu, BBC) and series regular Lilith in the upcoming Netflix Original, The Order. I think my favorite characters to play are from projects that have been adapted from novels or graphic novels. There’s a complexity that’s explored in novels and it gives more insight into the character when adapted. I love exploring their worlds and reading their thoughts. The most challenging role was playing the character inspired by my grandmother in my short film, Rae that I wrote, directed and acted in. It was the most challenging because I was simultaneously directing myself and the lead, a child non-actor, but also because it was so personal to my family’s story. I shone light on the light and dark aspects of our history. I can’t pick a favorite role, because each of them has taught me something different and important. 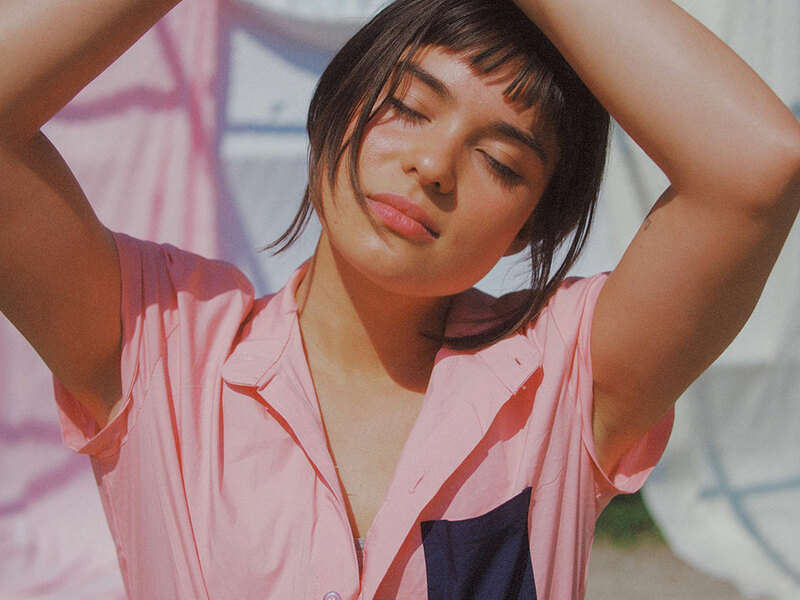 What is next for Devery Jacobs in 2019? Next in 2019 are the releases for each of the projects I’ve been working on for the past year! Chapstick (I’m addicted), my phone and my notebook. Every kind, but I’m particularly feeling the artist King Princess right now. Making a big homemade brunch, followed by reading in your PJs. RuPaul’s Drag Race, hands down. I see myself as an even more accomplished actor, filmmaker and hopefully a dog-mom. I support different Indigenous environmentalist groups, whether it’s the Water Protectors from the Standing Rock Sacred Stone Camp or currently, the Wet’suwet’en at the Unist’ot’en Camp on the Pacific Northwest, protesting against a pipeline being built. Holiday Destination: My next vaca will be Costa Rica. Movie: Spirited Away by Hayao Miyazaki.